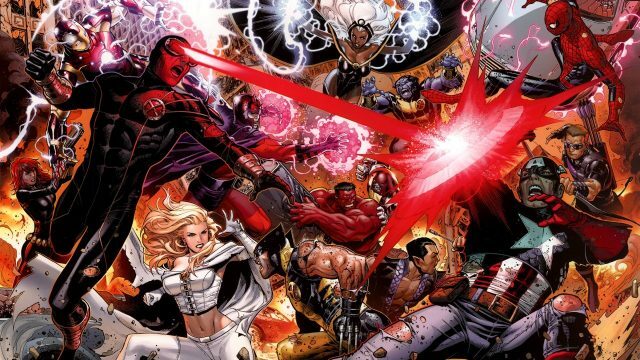 Kevin Feige On The X-Men Joining The MCU: "Never Say Never"
In a recent interview with Perception – the company responsible for Marvel Studio’s iconic logos, Kevin Feige got into the subject of Marvel characters and their ownership by different studios. As fans will know all too well, this is a discussion that’s dogged the architects of the Marvel Cinematic Universe ever since it burst into life with Iron Man in 2008. Audiences are often frustrated at the restrictions imposed upon Marvel comic book adaptations, resulting from character rights and titles. For Feige, however, the issue is one that might have a solution – but, beyond the new move to include Spider-Man in the franchise, it won’t be evident any time soon. Let’s recap, shall we? The Avengers reside with Marvel and Disney, Spider-Man was with Sony, while the X-Men and Fantastic Four remain with 20th Century Fox. To the surprise of everyone, Marvel and Sony reached a deal a few years back that allowed the web-slinger to join the Marvel Cinematic Universe – but the X-Men, as a set of characters, remain out of reach. The MCU is really a beloved institution these days, with $11.5 billion earned at the worldwide box office over the course of 15 films. Bryan Singer’s X-Men franchise is also a respectable endeavour, and was really the forerunner of the Marvel Cinematic Universe – building a cohesive superhero team franchise across multiple movies, starting way back in 2000. With 9 films, the X-Men have earned $3.9 billion at the worldwide box office – not including Deadpool, which earned $783.1 million for 20th Century Fox, all by itself. Not to put too fine a point on it, then, but it would seem there’s little reason for 20th Century Fox to cede the X-Men characters back to Marvel. The Fantastic Four, on the hand, are a different subject entirely. The studio has never really been able to hit the jack-pot with that property – it having earned just $787.6 million at the worldwide box office with three films, which is only slightly more money than Deadpool made with just its first instalment. So, could the Fantastic Four be ripe for the picking as far as Marvel is concerned? In the comic books, these characters tie in nicely with the more intergalactic aspects of the Marvel universe – which is certainly taking more of a central narrative position as we move through Guardians Of The Galaxy Vol 2, into Avengers: Infinity War, and onto Captain Marvel. Kevin Feige’s assertion that we should “never say never” is certainly encouraging, but the MCU is surely set to continue its reign as box office behemoth regardless.